Asiatic Water Buffalo (Bubalis bubalis)Appearance: grey-black smooth-skinned long curved horns sometimes with white crescent shaped markings on the throat. Trophy size: SCI 90+ is considered a good trophy. 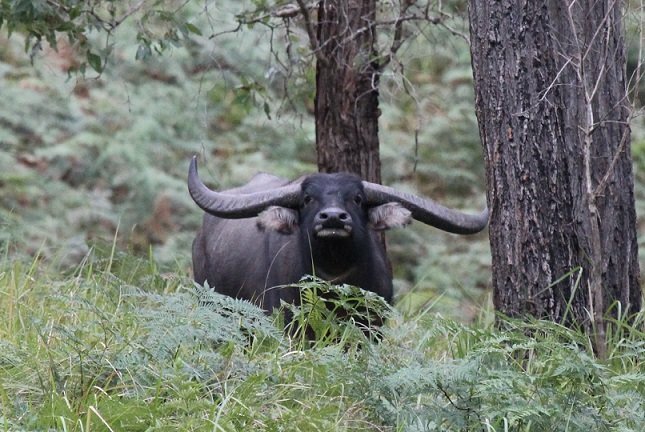 Hunting buffalo: Big and powerful with an attitude, the water buffalo needs to be treated with respect. Make the first shot count.